Proactive Gas Safety Ltd is a leading provider of Nationally Accredited Safety Training courses for handlers of Compressed & Cryogenic Gases. The company offer information, training and support to businesses, with the aim of reducing risk and promoting workplace safety. Their extensive range of courses includes: Compressed gases safety, cryogenic gases safety, oxy-fuel gas inspector, LPG gases safety, medical gases safety, oxy-fuel gases safety and LPG on FLTs gases safety. The specialist awarding organisation, EAL, is pleased to accredit all of PGS’s training courses, as their courses meet EAL’s rigorous criteria and strict guidelines. Over the years, PGS have built up an exceptional reputation, helping customers utilise control of their compressed and cryogenic gas products. The company’s prime focus is on the implementation of astounding on-site training. This is backed by the company’s brilliant virtual online learning courses that provide users with all the information they require to complete the accredited course. One of the company’s most popular courses, their e-learning Compressed Air Safety Training, is unique in its provision of interactive & engaging sessions that cover air tool handling and accompanying hazards. The course has been expertly designed for users of handheld tools driven by compressed air powered equipment in all modern processes and operations. The course meets the guidelines of the Health & Safety at Work Act and PUWER regulations, focusing on the dangers of using compressed air machinery. Such hazards can consist of: vibration, hoses, noise and connectors. It is important to remember that the course also covers the main elements of the compressed air system and promotes the correct use of blow down equipment. The course takes roughly 25 minutes to complete and is compatible with a whole host of devices. It is delivered as a simple slide presentation with accompanying narration, utilising videos and quizzes to keep users engaged. The course requires a pass rate of 80% for users to receive a complete certification of training. If users fail the quiz on their first attempt, no need to panic, as they will be given the opportunity to review a module and retake the failed questions. If users fail after a second attempt, there is still the opportunity to re-do the module and re-take the test. On completion of the course, business owners will be safe in the knowledge that their members of staff can safely use compressed air equipment and understand how to avoid unsuitable workplace behaviour. 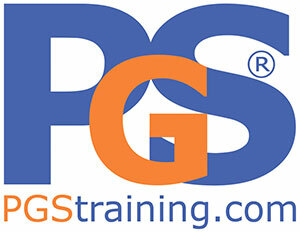 If you would like to get in touch with PGS training, call them on the number listed below. Alternatively, if you would like to view an extensive range of their courses, feel free to visit their website. This entry was posted in News and tagged Safety, Training. Bookmark the permalink.